ONLINE REGISTRATION IS NOW CLOSED. Please contact Elzbeth Ruiz at 858-966-5478 to register or with any questions. Sequence genomes in record time. Diagnose the most complex medical cases. Find answers for the most fragile newborns and children. Help make our vision their reality. Together, we will deliver precision medicine on a routine basis to every critically ill child. Your support will change lives. Join us and double the impact of your giving. The Rady Family has generously offered to match every gift of $10,000 or more during this extraordinary evening. These matching dollars will allow our experts to provide rapid whole genome sequencing to even more critically ill newborns and children. 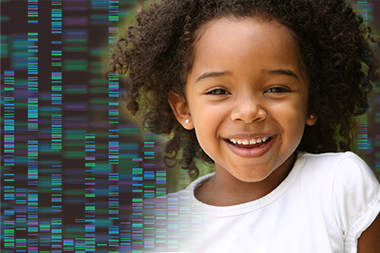 Your gift will not only help decode rare genetic disorders, but will accelerate our vision to make genetic sequencing the pediatric standard of care. Together, let’s Make History. Partner with us as a sponsor and help us Make History by supporting research that helps change the life of a Rady Children’s kid. Some sponsor benefits are time-sensitive, and may not be available after production deadlines. Sponsorships reserved by October 1, 2018, will enjoy the benefits listed below. Download our sponsorship packet. Custom product sponsorship packages can be created in consultation with our team, starting at $15,000+ products. All sponsorship sales must comply with Hospital and Foundation policies.